OSWEGO, NY (February 1, 2018) – After rain washed away plans for the maiden voyage of the Lighthouse Lanes SBS Series at Williamson’s Spencer Speedway last season, management of the tour in conjunction with John White at Spencer Speedway have penciled in a 2018 date set for Friday, June 29. The Friday evening race at Spencer, just a 45 minute drive from Oswego down route 104, will set up the first double header Small Block Supermodified weekend in a handful of seasons, as the Oswego regulars who join the series will then return back to the Steel Palace on Saturday, June 30 for the track’s Independence Weekend Grand Prix special. It will be a ‘Friday Night Lights’ show at Spencer this June as pit gates will open at 4pm, general admission gates at 5:30pm, with hot laps at 6pm and racing getting the green flag at 7:15pm. Spencer Speedway’s 2018 schedule is still in the building stages, but the New York Super Stock Tour, Super Six and Grandpa Dog 4-Cylinder divisions are already set to join the SBS series as part of the action packed program. 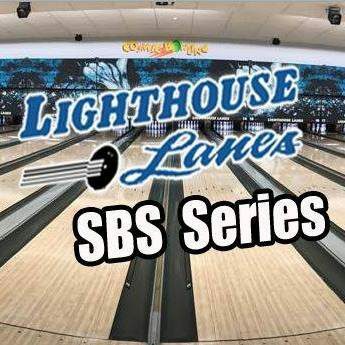 Similar to the Lighthouse Lanes SBS Series event being held at Evans Mills Speedway on May 12, the race at Spencer Speedway will be a 30-lap contest paying $600 to the winner with a full purse to be announced.